Croatia Vacation villa with 2 pools MAKARSKA – 6 rental | MONTENEGRO Villas 2019 rental UNIQUE Vacation for You !!! Croatia Vacation villa with 2 pools MAKARSKA – 6 rental – MONTENEGRO Villas 2019 rental UNIQUE Vacation for You !!! 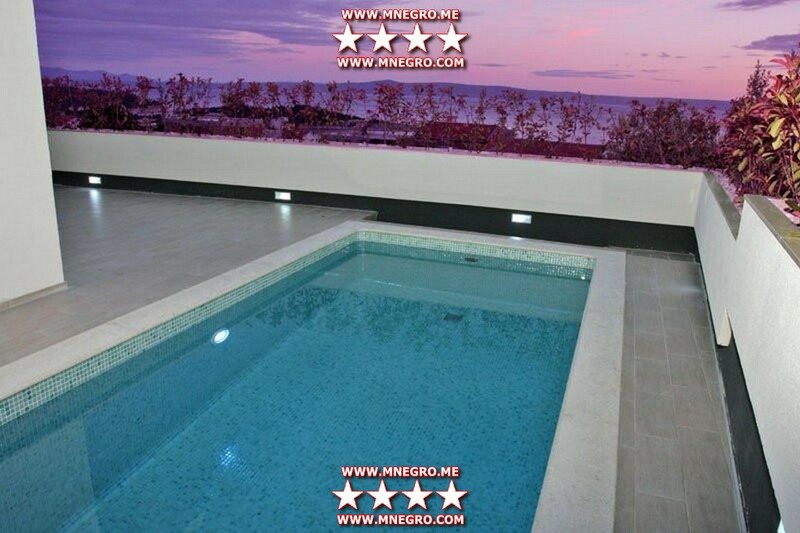 Breathless modern four bedroom villa in Makarska with 2 swimming pools. This luxury villa with 2 swimming pools is located 400 meters from the sea and 1500 meters from the center of the town of Makarska. This newly built and modernly equipped luxury villa is surrounded with olive trees and indigenous Mediterranean plants that grooves in its large garden. This provides peace and privacy to the guests. This villa has 4 bedrooms. All bedrooms have exit to the front yard / terrace. 3 bedrooms have double bed, and 4th bedroom is with bunk beds – most appropriate for children. This luxury villa also has its private gym room and 2 swimming pools at the terrace. Pools are equipped with counter-current swimming system, water massages, and waterfall. There are 3 spacious bathrooms. One of them is equipped with Jacuzzi hot tub and other two are with massage showers. There is also fully equipped kitchen with all appliances, dinning and living area that also has an exit to the terrace with pools. At the terrace by the pool there are two solar showers, and on the other side of the terrace is stone barbecue outdoor grill with its appropriate space. Makarska is a political, administrative, and cultural center of surrounding region – Riviera Makarska. Today it is one of the most famous tourist centers in Croatia well known for its long and sandy beaches, greenery, and mild Mediterranean climate, with lots of tourist attractions under this Dalmatian area located below the famous Biokovo mountain. * Fully equipped kitchen with oven and ceramic / gas stove top, dish washer, fridge, freezer, pans and pots, forks, spoons, and knives all for 10 persons.